We have a couple of friends who are always inviting us to splendid dinner parties at their place – amazing wines, complicated cuisine (think sous vide, foams, emulsions etc. ), and so on. Naturally, we wanted to return the hospitality, but as you can imagine it was a bit daunting! 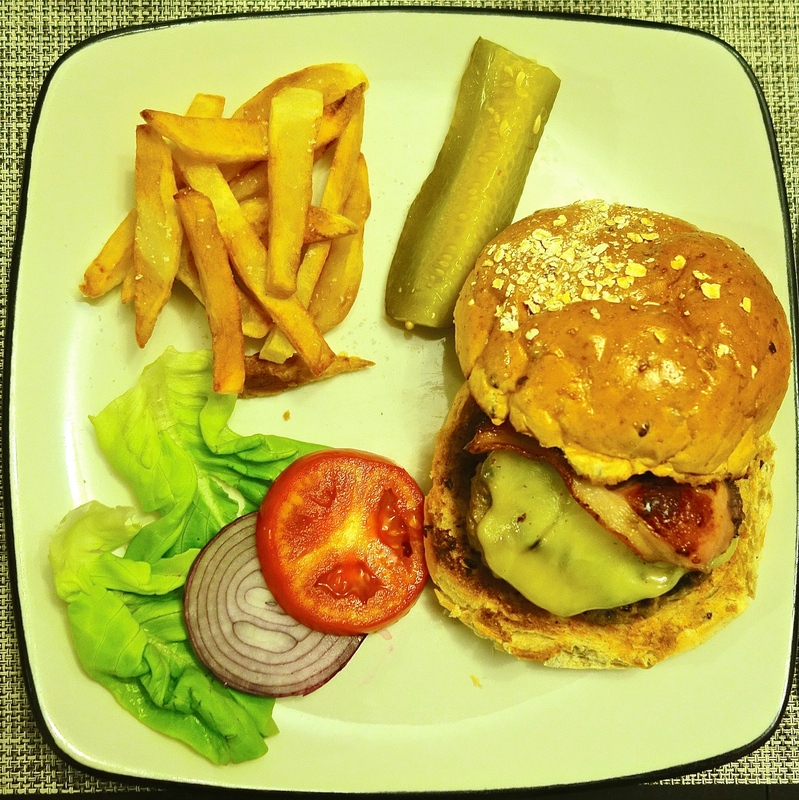 So we decided that if we weren’t going to go all Heston in the kitchen, we would go back to basics – burgers and fries. Who doesn’t love a good burger? And if we were going to go down this road, then PB and I were going to make the best bloody burger that we could possibly make at home (without a barbecue)! We set about doing research on meat cuts, fat to lean meat ratios, the American burger vs. the Aussie burger and all that jazz, plus we consulted our Belgian friend PYB on his tips for the perfect fries. After a couple of trials, we believe that we’ve pretty much got it down. All of these tips are compiled from several foodie websites, online recipes and youtube videos – to save you readers the trouble, here the all the best tips for you in one easy list! 1. Different people advocate different cuts of beef for the perfect burger, but they generally advocate beef chuck, and that it should be 80% lean and 20% fat. I use Australian grass-fed rib eye, which is the next cut along from chuck, and yields a great taste result. 2. Do not buy pre-minced meat! First of all, you don’t know what’s in it, and secondly, once meat has been minced it has more surface area to attract more bacteria. 180g of beef mince per person will do – ask the butcher to grind it in front of you on the day that you make your burgers. We buy rib eye steaks from Pacific Gourmet and they will grind it for you. 3. When shaping the patties, try to handle the meat as little as possible. Shape it loosely and don’t pack it too much, as this results in stodgy patties. 4. 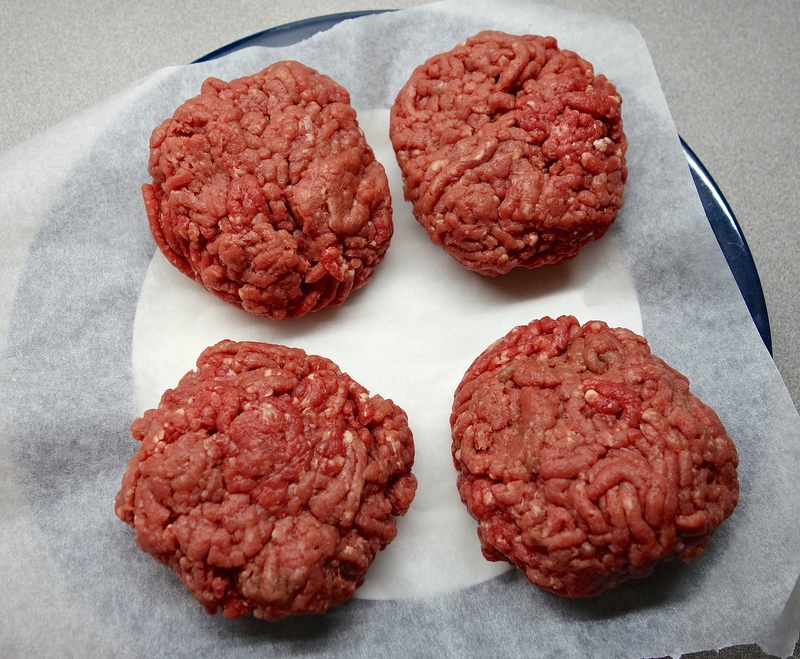 Meat usually should be cooked at room temperature, but burger patties should be as cold as possible. After shaping them, put them back in the fridge to cool again completely. This ensures that the fat melts evenly when they are cooking. 5. Before cooking your patties, use your thumb to create an indent in the centre of the patty – this will stop the patty from shrinking into a ball, and keep it flat when cooking. 7. Only season your patties right before cooking. Seasoning too early with salt will draw all the moisture out. 6. Use a brush or pour some oil on a wad of kitchen towel to oil the frying pan so it is evenly covered. When the patties are cooking, resist the temptation to keep flipping them and pushing down on them. Cook on one side for 3 minutes and then flip for a further 3 minutes, for medium rare. Rest the patties (covered loosely in foil on a plate) for a few minutes before serving so all the juices don’t go into the bun and make it soggy. 7. If you are making cheeseburgers, once you have flipped the patties once, add the cheese and cover the pan so that the cheese is melted when served. We used a French cheese (Cantal, but Compte or Tomme de Savoie would be fabulous too I reckon). 8. Whilst cooking the burgers, heat another pan (preferably a griddle pan to create some nice char lines) and toast your buttered burger buns – there’s nothing worse than soft buns! 1. As fries are cooked at high temperatures of 160° – 180° C, it’s important to use an oil that has a high smoking point (which refers to the temperature at which volatile compounds emerge from the oil, making it unhealthy for consumption). Many sources that I found recommend sunflower or canola oil. 2. According to a Belgian blog that I found which is completely dedicated to fries, the best potatoes to make fries are bintje potatoes, otherwise Yucon Gold or Russett will do. Sadly, all of these are hard to find in Hong Kong. I used the humble baking potato, and they turned out great. 3. Peel the potatoes and cut them no smaller than 1cm squared. If you can be bothered, you can also cut off edges that are too pointy, so that they don’t burn. 4. 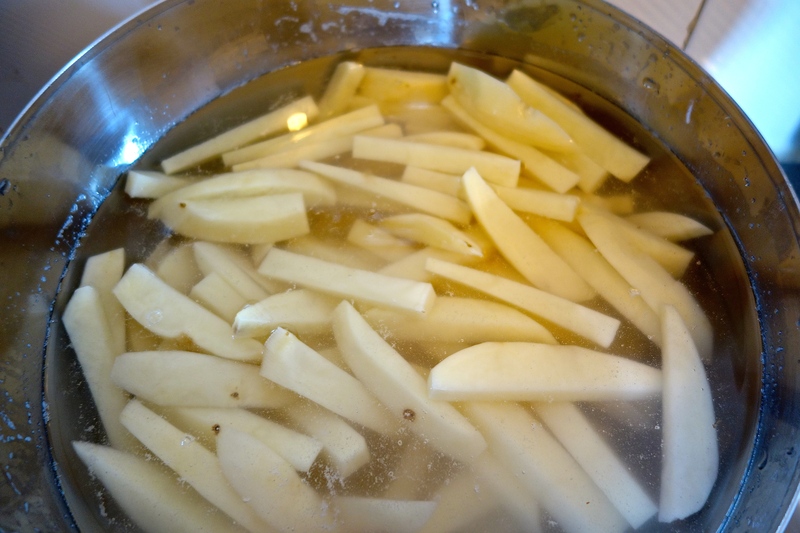 Soak the prepared fries in cold water for 5 minutes before patting them completely dry and cooking them. This will remove a lot of the starch and make them crispier in the end. 5. Heat the oil to 160°C, and fry for 6 minutes – do no be tempted to fry them for longer than that! Remove and cool completely (if you’re pressed for time, then at least 1/2 an hour). 6. The trick to achieve the perfect fry is to cook it twice! Re-fry them just before serving at 180° C for 2-3 minutes. 7. Treat yourself to a deep-fat fryer – believe me, they make fries so much easier and less daunting – almost TOO easy. It leaves much less mess and the temperature remains constant. If you live in HK, you can buy small 1 L fryers in Fortress for not too much. 8. It is not recommended to re-heat cooking oil after you have used it – wait until it is completely cooled, pour it back into the bottle and dispose of it in the bin. Chucking it down the sink is never a good idea.